This Charleston style home located in The Palisades Golf Community could be yours. It has a master suite down with Rylands most popular layout for family and entertaining. Decks on the front and back of the home, wooded cul-de-sac lot, very private. Bedrooms and bathrooms on all 3 levels and a basement that is sure to please with a full bar and 2nd kitchen area, wine cellar, media, bedroom and bathroom. Spacious for large gatherings and plenty to do on all levels, maximizing over 6,000 square feet! Over $100,000 spent finishing basement level. If that isn't enough the HOA dues include new pool, fitness center, clubhouse, basketball, pickleball, walking trails, playground. Golf & Tennis memberships available, equestrian center is located in The Palisades, Lake Wylie nearby. 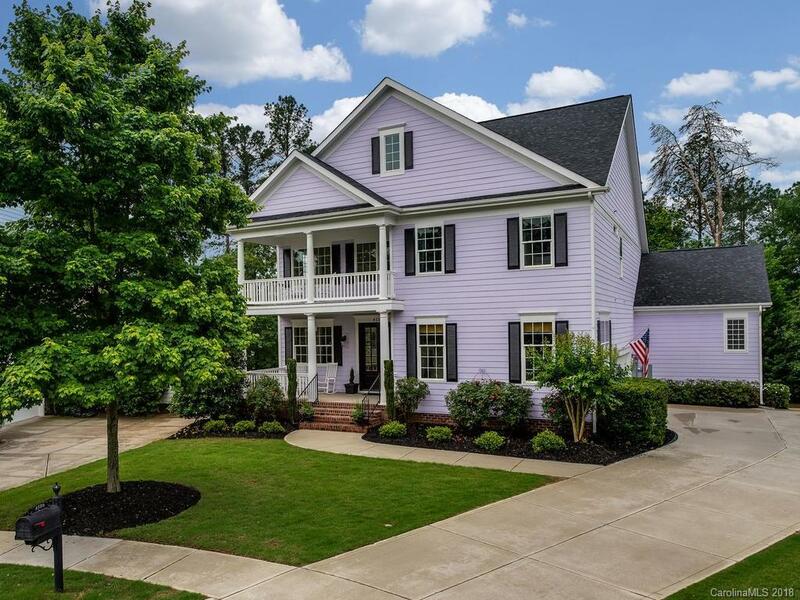 If this gorgeous Charleston color isn't just right for you, a paint allowance is negotiable with an acceptable offer, but come take a look first!